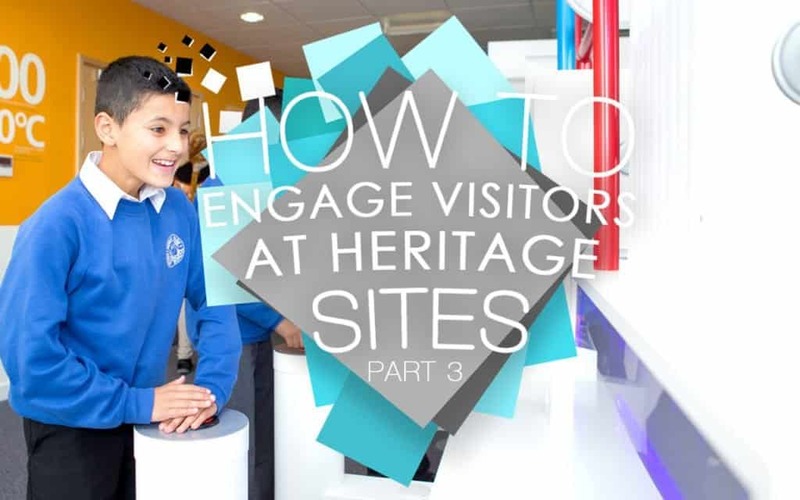 Welcome to the third post in our series on engaging visitors! With Christmas fast approaching, many museums and heritage sites will be gearing up for a busy festive period. If you need to keep on track with your site, or just want to improve on your existing methods, we have some more helpful tips to get you through the end of the year. If you’re based in a country where English is not the native language, offering your services in other languages can help to break down barriers with certain visitors. It also widens your reach to an audience who would not normally come to your site on a regular basis. As we are based in Wales, a lot of our heritage sites and museums offer English & Welsh services as standard. We have also done work for many other countries where English is not the main language, such as Germany & Sweden. 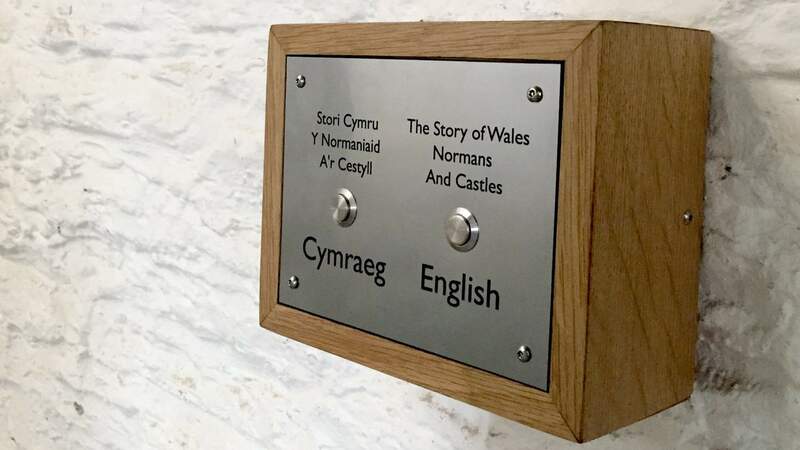 One of our examples shown above is the Button Activated Weatherproof Screen we made for Caerphilly Castle, which has English & Welsh video options, catering for both languages. So, the visitors are flocking to your site, excited to see what you have to offer. It’s their first time coming to you, and first impressions are key to making them become regular visitors. Make sure they are welcomed, and encouraged to explore as much as they can. If you give them the warmest reception, even if it’s with just a smile, visitors will take that away as a positive attribute to your site and will come back to visit in the future. Having insights into your main audience can give you a better idea as to how to cater your site to them. 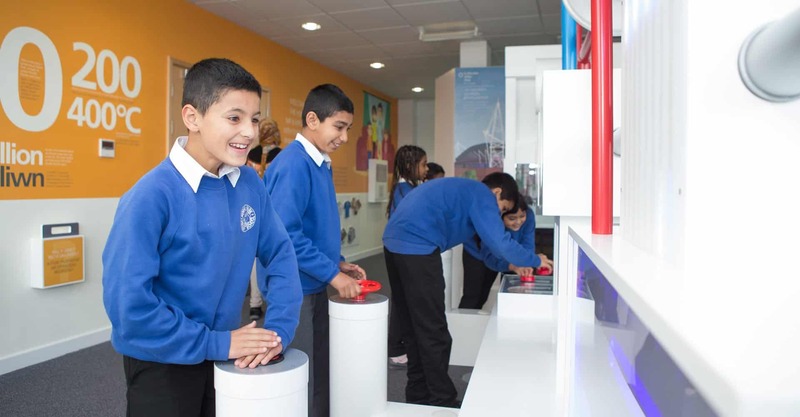 If you’re popular with families and children, you can choose to have content that is directed as family friendly, or arrange to have schools in the local community come and visit for the day. Keeping a record of the audience that attends your site can have many benefits to how your site is handled, and can help you come up with more engaging content for the future. The right people can be a huge asset in engaging visitors. 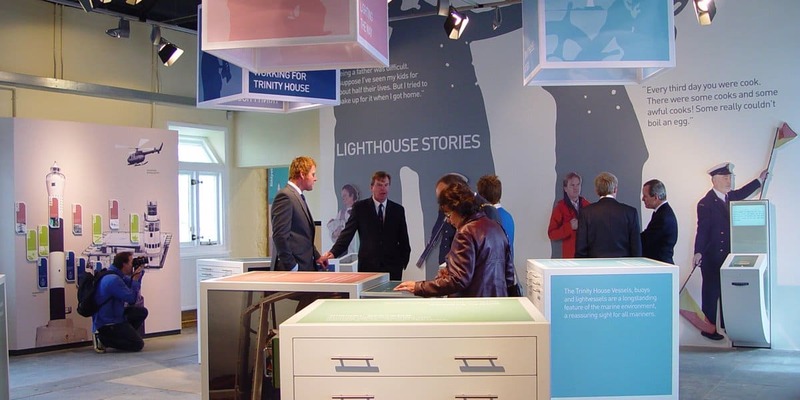 Employing staff that can help to run and maintain your site or museum can give a huge boost to your image, if they are friendly, welcoming, and able to answer any questions that visitors have. They can help to give those key first impressions we mentioned earlier, and bring positivity to your site. If your volunteers or employees don’t give a warm welcome to visitors, then they’ll feel undervalued and will be less likely to come back. One of the distinct advantages of interpretation is that it can make a lot of heritage sites and museums much more accessible. With technology constantly evolving in our society, it’s easy to keep on top of trends. However, if you have a multi-touch table that has some amazing content on it, it won’t be any good if it keeps getting in people’s way. Or you have a stunning kiosk that’s blocking the entrance to the next area. Knowing your layout and spacing everything accordingly to your area will help to minimise any accidents and allow visitors to easily find their way around your site. Visitor flow is crucial to maintaining a good site, and our Visitor Counter is perfect to track how many visitors are coming to your site, or even to specific areas that you want to focus on. We hope that you’re enjoying this series and that it’s giving you some helpful tips! Are there any that we may have missed? Feel free to tweet us your suggestions. 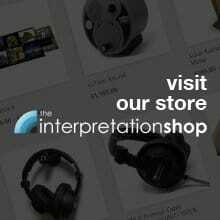 If you’re interested in working with us, or want to have a chat about the products that we offer, you can head on over to our Contact page for more info on how you can reach us.